Yes, we usually stick to the top five, but there are so many fabulous gluten-free, vegan products at Trader Joe’s (and the selection keeps growing) that it made sense to boost the list to 10! The newest cauliflower product at Trader Joe’s has taken the internet by storm, which is totally understandable. 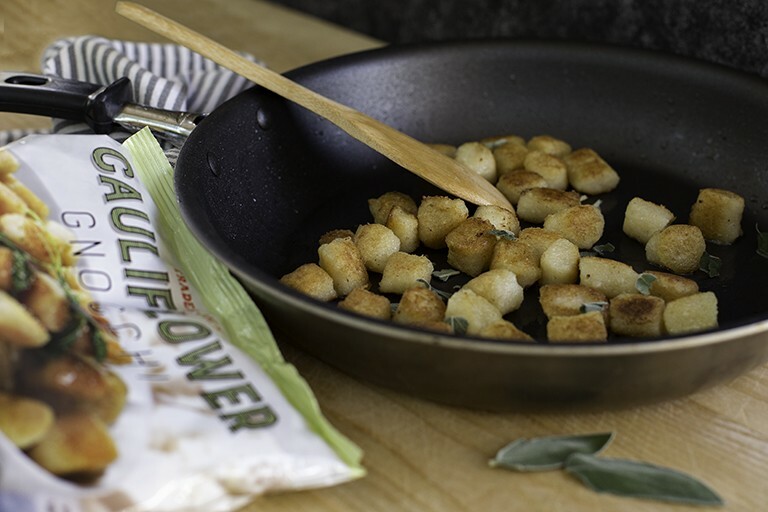 This innovative gnocchi blends cauliflower with potato, instead of flour, creating a vegan alternative to traditional gnocchi. Top it with your favorite sauces and mix-ins to create the perfect plate of veggie goodness. If it is in stock, you’ll find 12-ounce bags of cauliflower gnocchi in the freezer for $2.69 each.